Edmonton roofing company that offers quality Roofing Services in Edmonton, St. Albert, Fort Saskatchewan, Sherwood Park, Leduc and Spruce Grove. As part of our commitment to quality and care since 1982, we offer additional services such as eavestrough, soffit & fascia, skylight replacement and installation. Along with our professional Edmonton roofing services, we offer comprehensive warranty programs to protect you from contractor and manufacturer error. 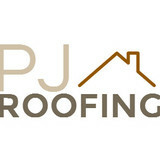 PJ Roofing Edmonton’s best roofers! 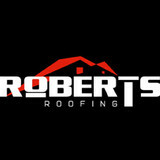 Roberts Roofing is a professional roofing service. We specialize in asphalt and rubber shingles. The main points that set us apart from our competitors is that your roof will be installed by a journeyman roofer, our installers are employees and not random sub-contract crews. We are a family company, brothers and brother in laws, there is usually at least 2 or three brothers on the roof at once. You can be confident that when we do your roof, you will not have to worry about it again for a really long time. Your roof is one of the most critical elements of your home. It keeps the elements at bay, provides shelter, and adds value to your home. Your shingling, eavestroughs and ventilation all must work in conjunction with the others in order to provide optimum protection for your home from the weather. At Nomad Roofing, we have over a decade’s worth of experience working with every aspect of residential and new construction roofing. GAF Master Elite certified and HomeStar.com award winners, Nomad Roofing is among the most trusted names in Edmonton roofing. Specializing in 50 year shingle homes, including Western Red Cedar. Engineered cold roof systems that easily surpass any cedar roof installation for looks and longevity. Refined Exteriors Ltd. is a Commercial & Residential interiors and exteriors construction company. We service Edmonton, Calgary and we also have current projects west of Edmonton. 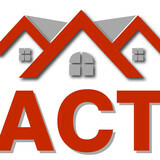 We have over 25 years of experience in residential and commercial construction. Here is a list of services we offer: Exteriors Commercial & Residential: Roofing (Shingle, Rubber, Shake, 2-Ply SBS Membrane & EPDM Membrane roofing systems). Siding Stucco Glazing (Aluminum & Glass - Commercial Store Fronts & Windows, etc). Also high end estate homes that have commercial style glazing. Vinyl Windows/Frames Doors (Man Doors & Garage Doors) Exterior Painting Interior Systems (Commercial & Residential) Drywall Insulation (Fiberglass, Cellulose, etc). Taping Interior Painting Texture Acoustical Ceiling Tiles Framing (Wood & Steel) We pride ourselves on our quality workmanship and building long lasting relationships with our many clients. We provide unparalleled customer service to our clients. We have the experience, workforce and capabilities to complete your commercial, industrial or residential construction project. Our employees have the skills, craftsmanship and the knowledge to handle any size project. Our work is always completed on time, within budget, safely, and with the highest quality standards. We are certified by leading manufacturers in the roofing and glazing industry which allows us to offer the best warranties available. 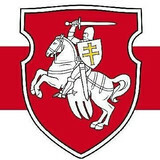 We value our many clients and always represent our clients interests exclusively. We are Edmonton and area's trusted roofing contractor. If you're looking for a professional roofer in Edmonton, then look no further. We are experts in both Residential Roofing and Commercial Roofing. With over 20 years in the roof business, we have encountered virtually every situation you can think of. Whether it is a standard roof repair job, flat roofing job or something else, we have the experience and expertise to ensure that we take care of your roof and you. We are a roofing company that specializes in sloped roofs. We offer new roofs, roof repair, roof maintenance programs and insulation. Safe Roofing uses a unique 15 points safe roof checklist to better inform, protect and serve our customers.This process helps to promote clarity, accountability, and trust when building a long-term relationship with our clients.There are five stages and fifteen steps that we follow in order to complete a roofing job, and we want to inform our customers the entire process in an open and honest manner. We believe this will protect and empower our customers by informing them on what we do, how do we do it, and our standards. Roofs and gutters are two home elements that, when they do their job, go unnoticed. But when they malfunction, they make their presence known in a hurry — that’s where knowing a good Saint Albert roofer comes in handy. Hire the right roofing company in Saint Albert, AB to install, repair and maintain your roof and gutters, and you’ll ensure that these essentials perform at their peak. 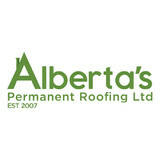 What do roofing companies in Saint Albert, AB do? Your Saint Albert, AB roofing contractor can install a new roof or repair an old one, as well as repair and replace gutters. Good roofers in Saint Albert, AB should be able to promptly inspect roofs and gutters to assess damage after a natural disaster or other event, and give you an estimate for the necessary roof repair immediately. Some Saint Albert roofing companies specialize in specific types of roofs, such as tile or metal, so make sure the one you are interested in works with the materials you have or desire. Find a Saint Albert roofer on Houzz. Narrow your search in the Professionals section of the website to roofing companies in Saint Albert, AB. If you’re planning a large-scale project, find other professionals on Houzz who can help get the job done. Here are some related professionals and vendors to complement the work of roofing & gutters: General Contractors, Specialty Contractors, Siding & Exteriors, Door Sales & Installation, Garage Door Sales & Installation.